With a job he loves and an apartment to call his own, the future looks bright for Demarco Davis. Living in foster care and youth shelters as a child, his childhood was far from typical. Demarco said home was always where his heart was. Spending his childhood between various youth shelters and foster homes meant Demarco was always on the move. At school, he excelled in drama classes and developed a knack for photography. Yet a stable place to call home alluded him. I’m what you would call a nomad – someone who moves from place to place. I’ve never had a set home. 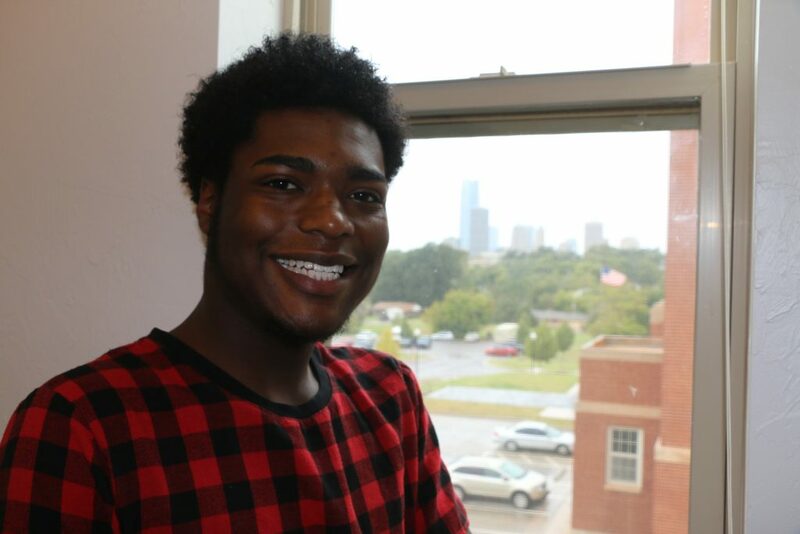 When he turned 18, Demarco learned his housing support from the Oklahoma Department of Human Services would be ending. They worked with him to find alternative housing arrangements since he was no longer under DHS care. Demarco shares his poignant story of moving from a life in foster care into independent living. 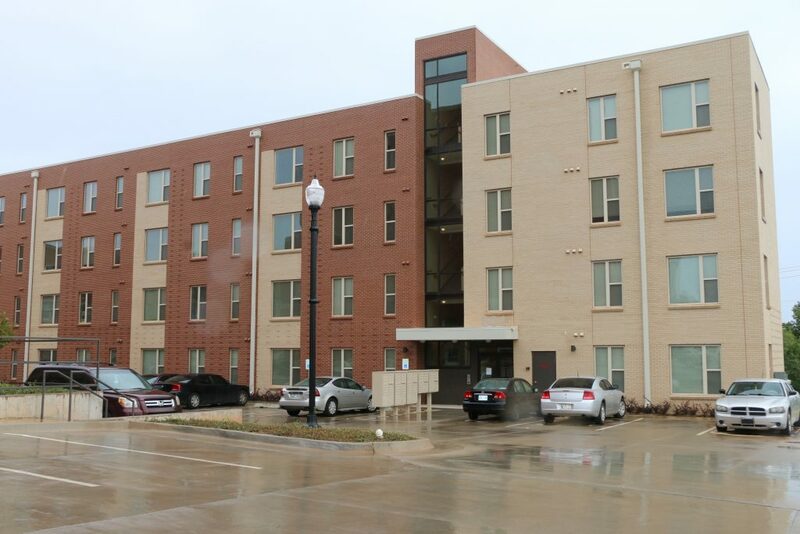 A partnership between the Oklahoma Department of Human Services and OHFA’s Housing Choice Voucher Program ensures that income-qualifying youth who are aging out of the foster care system receive help paying their rent. For Demarco, that meant a burden had been lifted. Oklahoma Housing Finance Agency makes my rent more affordable. I feel more secure now that I don’t have to move around like I did in my childhood. 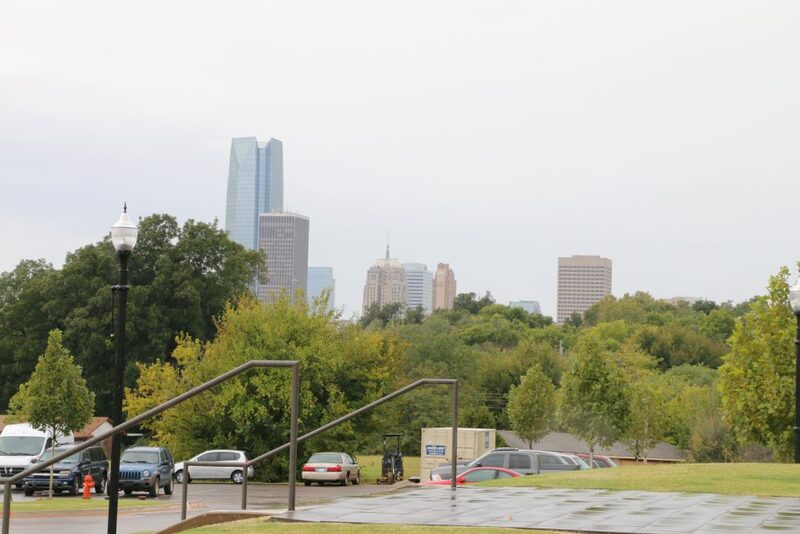 Moving into an apartment with a beautiful view of downtown Oklahoma City means Demarco finally has a place to call home. This is my place and I couldn’t be more happy. I’m just so stoked. Working as a peer mentor for Oklahoma Lawyers for Children, Demarco spends his time encouraging his peers to not give up hope. He often speaks to elected officials and other groups to ensure that youth and families experiencing poverty have a voice. He plans on enrolling in college this fall with plans to become a photojournalist. 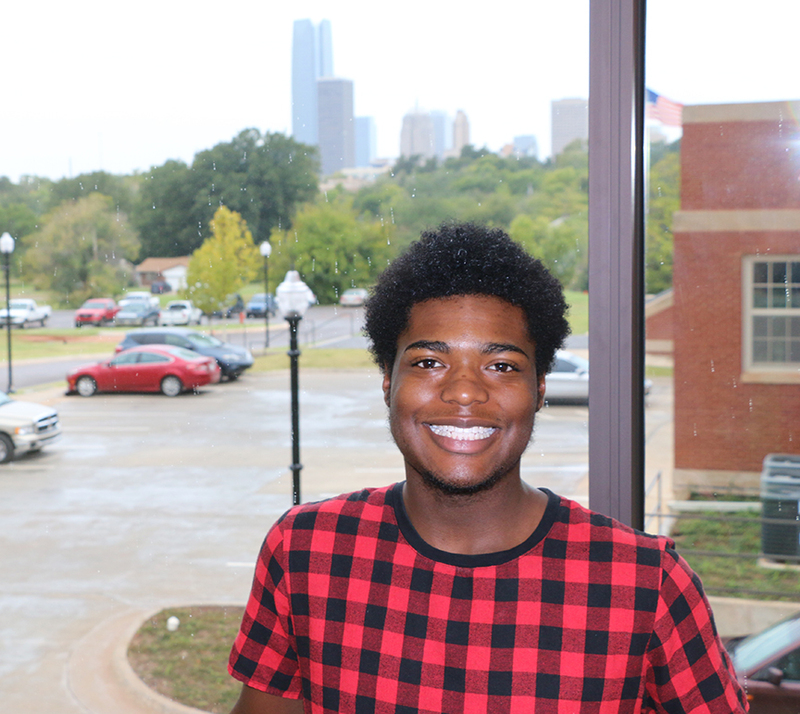 He’s building his future within the walls of two historic school buildings. He works in the former Oklahoma High School building, built in 1910 and now home to the Oklahoma City University Law School and Oklahoma Lawyers for Children. He goes home to the Douglass at Page Woodson, former site of the historic Douglass High School. 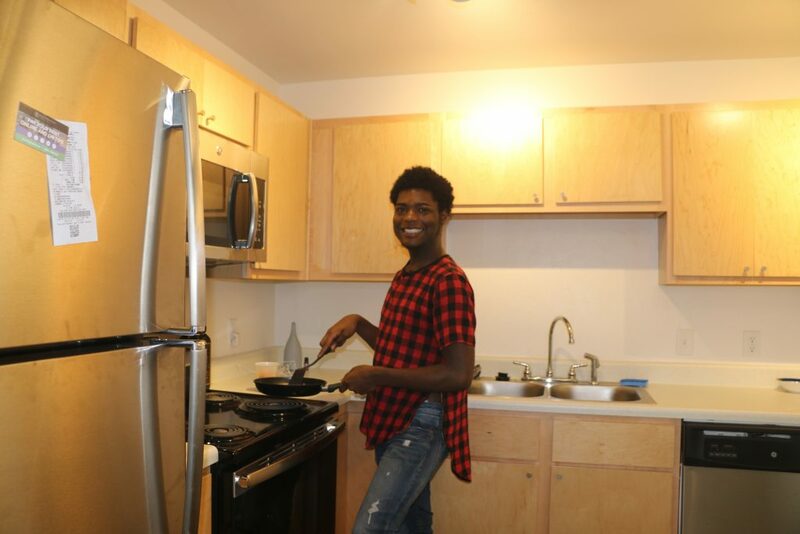 Demarco lives in just one of more than 10,000 households across the state who receive help paying rent through OHFA’s Housing Choice Voucher Program each month.